Here's what kind of state the Always Sunny gang would be in if they drank all that alcohol in real life. It's Always Sunny in Philadelphia is known for being a comedy that really pushes the envelope. It does this in a few ways, and almost all of them are horrible and gross. These characters are very deliberately not role models, no matter how oddly charming they may be. Theirs is very much a cautionary tale, and frankly it's amazing that they're all still alive and kicking if a fresh report on their consumption of alcohol and substances is anything to go by. The team at Alcohol.org felt the need to explore, in forensic detail, just how intense the gang's bad habits are. To that end, they reviewed every episode of the first 12 seasons of the show and catalogued each use or mention of drugs and alcohol. 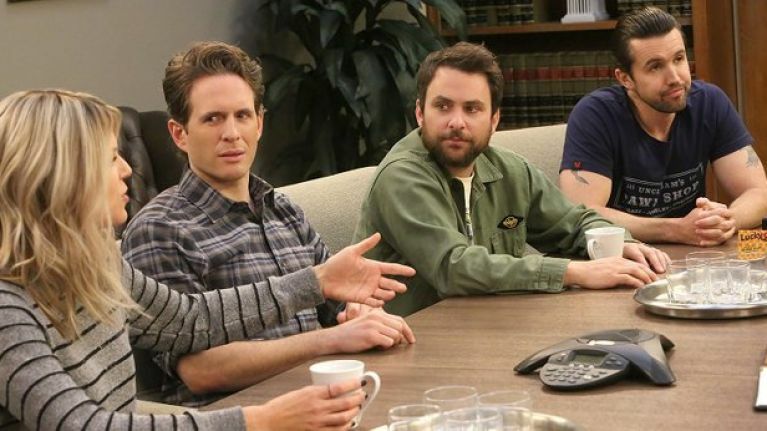 The study found that the average number of mentions or visual depictions of alcohol between the five main Always Sunny characters amounts to approximately 0.4 per minute. Charlie leads the way for total number of mentions with 324, Dennis is next with 251, followed by Dee on 249, Mac on 217 and Frank on 140. 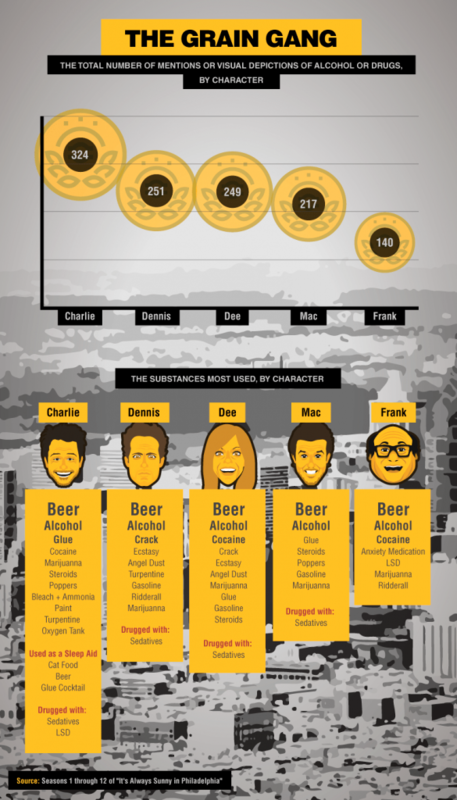 Beer tops the list in all five cases, though the full breakdown of substances makes for especially grim reading, particularly where Charlie is concerned. So yeah, if Charlie was a friend of yours in real life, you'd step in and help, right? Elsewhere, the study shows that over the course of the 134 episodes surveyed, the gang consumed alcohol at least 140 times, with that figure doubling for some individuals. Charlie, of course, has the highest rate of consumption with 324 visual depictions across the 12 seasons. The study underlines the importance of moderation, deliberately highlighting the especially excessive depiction of alcohol and drug intake throughout Always Sunny. 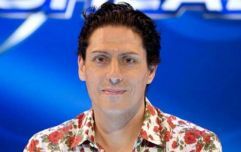 "Our research found drugs and alcohol appeared at an alarming rate across all 12 seasons of the show, and it doesn’t seem to be slowing down," it notes. "While often utilised as absurd antics to make viewers laugh, the excessive drinking patterns of the gang often align with that of people who have become dependent on substances – occasionally by their own admission." The full breakdown - which is quite comprehensive - can be viewed here.